Today, we had the opportunity to chat with Melissa Persaud, Director of Partnerships – North America at VOTO Mobile, who will be one of our guest experts for our upcoming mHealth: Mobile Phones for Public Health course. Melissa will be speaking during the second week of the course doing a demo of VOTO Mobile’s tools, before diving into a Q&A session with participants. Check out what she has to say about the field of mHealth! As a generalist and M4D enthusiast, I’ve been observing mHealth projects over the past 10 years. Personally, I’m excited by the possibilities technology provides in this space. From the household all the way to major hospitals, there is a role for tech. During my time with VOTO, I’ve been able to explore how pairing mobile phones and information can change and save lives. The beauty of VOTO is its ability to share information and promote behavior change at scale almost instantly. I get to spend my days collaborating with leading health organizations to adapt existing or design new approaches across all health needs. From finding ways to better support, train, and retain frontline and community health workers to thinking about how to disseminate critical and urgent outbreak information directly to households in real time, we are pushing the limits on what you can achieve with a basic mobile phone. I also benefit from learning from other sectors as we co-design projects across all sectors with international and local organizations around the world. For example, we’ve learned that calling Brazilians between 5-7 pm has a 4x higher response rate than 8-10 am. Sharing context-specific information like this helps us all be better development practitioners who provide even better services. In my mind, the health sector is one of the most diverse and complex ones out there and there is no silver bullet. With that said, tech does offer some significant enhancements to traditional health projects. You are able to reach more people directly, frequently, and cheaply. This can be incredibly useful ensuring adherence to life-saving drugs or vaccines and it was nearly impossible 15 years ago. Technology also allows us to map the spread of diseases, better understand high need areas, and allocate resources as necessary. Doctors can treat more patients and save lives through telemedicine services. Community health workers can instantly access treatment information for new diseases or rare cases they haven’t been trained on. The list goes on and on. What an opportunity! I’m particularly interested in demand driven content, where individuals can self-diagnose or learn more about health topics through their mobile phones. Think WebMD on your basic phone. A way people can learn more about their bodies and their health on their own time and without internet connectivity. I’m not sure if this is the future of mHealth, but I will be keeping an eye on it! We believe mHealth skills have the potential to make a huge impact in your work. Why do you think taking this class is important, and who would you recommend it to (public health professionals, field workers, etc etc)? One of the biggest challenges in mHealth is that practitioners don’t know where to start. The endless opportunities are often overwhelming and human nature is to stick with the things we know. One thing I hope the mHealth students takeaway from this course is how to think about the problem you are trying to solve and be able to make an informed decision on which mHealth tool will be most appropriate and successful. This skill will prove to be incredibly useful as students advance in their career, in health or otherwise. Sound interesting and/or valuable to your work? Sign up for our mHealth: Mobile Phones for Public Health class here. Next session begins March 28, 2016! 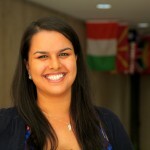 Melissa Persaud is Director of Partnerships – North America at VOTO Mobile, a Ghana and US-based mobile engagement social enterprise. In her role, she builds and maintains partnerships with impact-oriented organizations in order to provide better choices for more voices around the globe. Personally, Melissa has a passion for program design and implementation, mobile for development (M4D), and financial inclusion. She holds a MPA in development practice from the SIPA at Columbia University and a BA from Lafayette College. 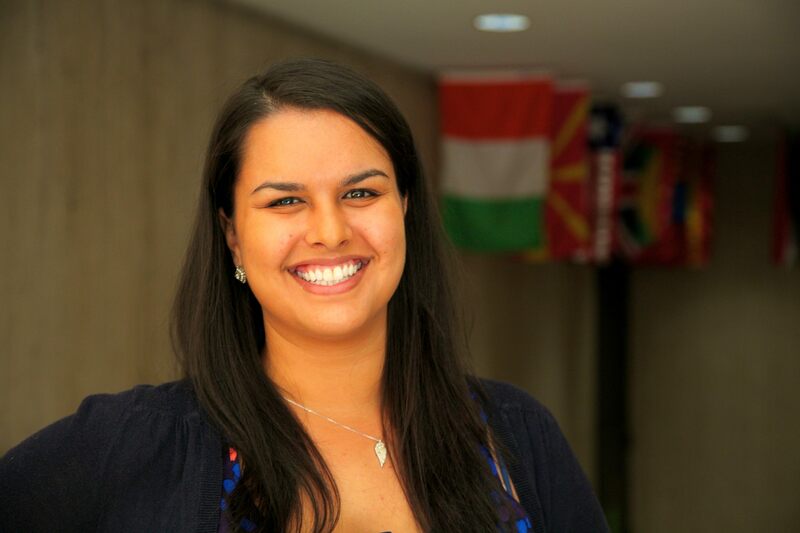 Melissa is also a Returned Peace Corps Volunteer (Cameroon ’11-’13) and is currently based in Washington, D.C.